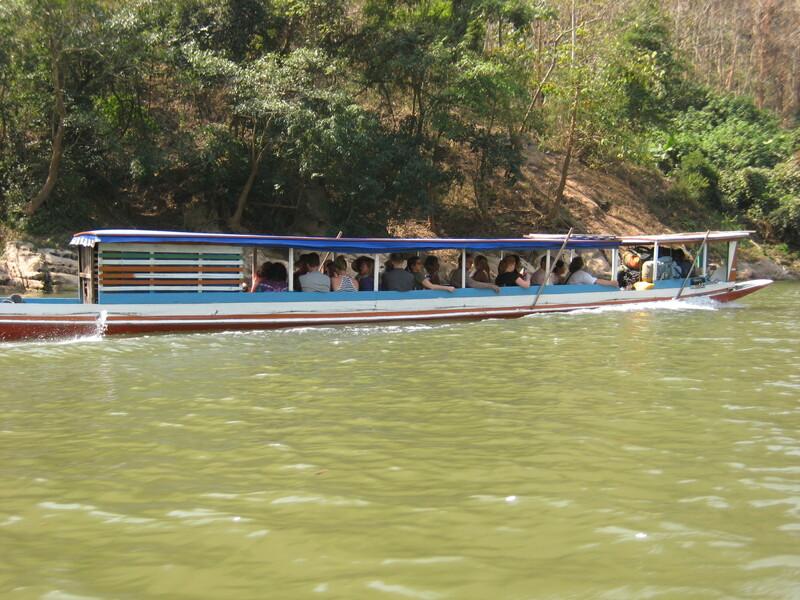 After a brief but eventful stay in Nong Khiaw, we boarded a slow boat for Luang Prabang. There were a few options to get down to LP, including a much faster bus ride. 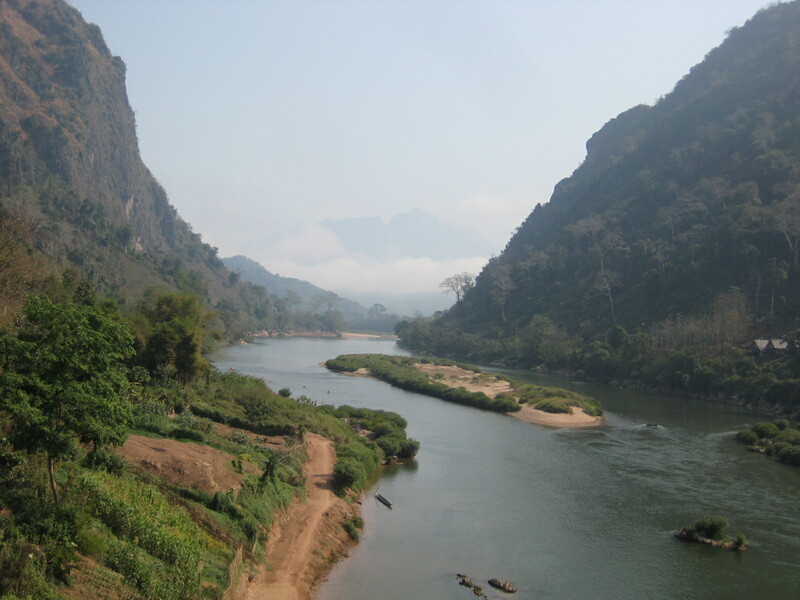 But we had heard nice things about the ride down the Nam Ou, and we managed to find a few other people who were going the same way, so we were able to charter a private boat with 8 people on it for just slightly more than the public boat that had over 20, plus gear.